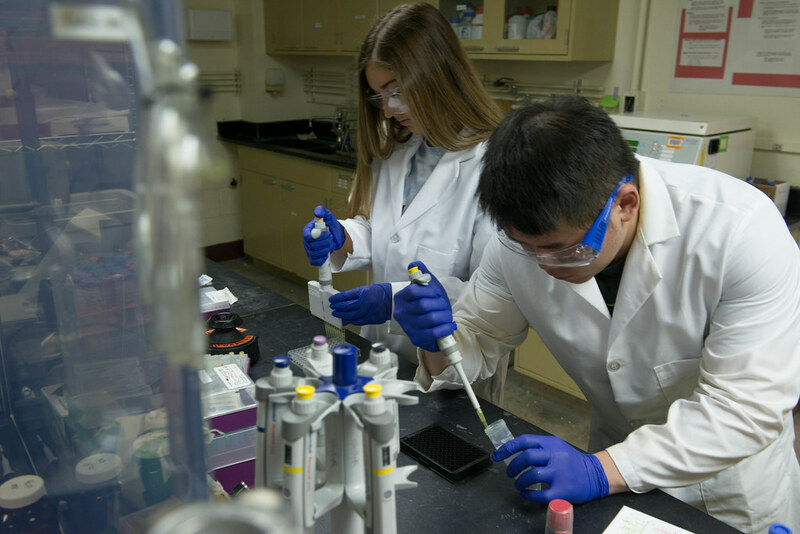 Chemical engineering students Caitlin Leeper and Rui Zhang work in Bret Ulery lab. The lab conducts innovative research combining chemical engineering with immunology.| Photo by Samantha Kummerer, Bond LSC. Saturday Morning Science brings science to the people, bagels included. In an effort to highlight this outreach effort, we’re profiling a recent SMS speaker who talked about … well, read for yourself below. Inside your body is a complex network of interlocking biological pieces. Tissues, cells and organs are consistently working together to defend against an outside attack. 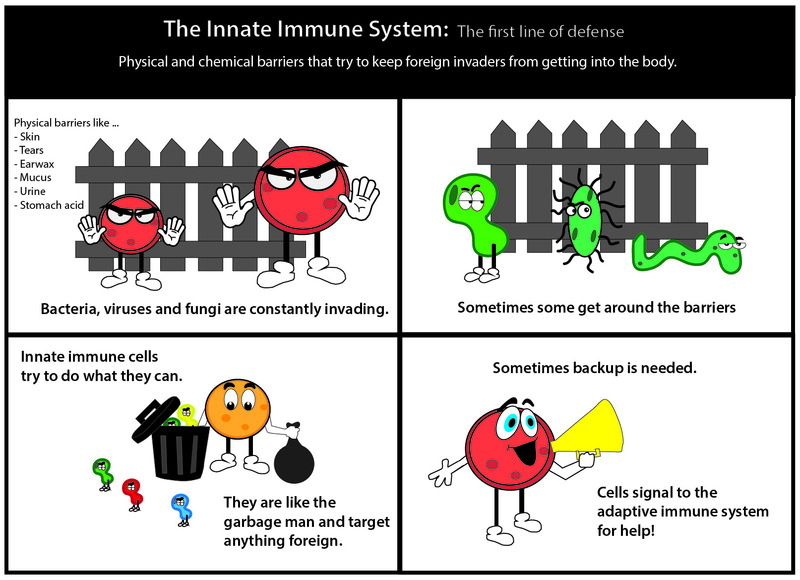 This is the immune system, the body’s natural defense mechanism, which is incredibly important to keeping us healthy but are we currently using it to its full advantage? Chemical engineering Professor Bret Ulery feels we have gotten a good start, but overall the answer is still a resounding no. “We have this unique opportunity to leverage the things that are going on to make a difference in the immune system,” said Ulery, the Assistant Professor of Chemical Engineering and Courtesy Assistant Professor of Bioengineering. Ulery runs a lab within Lafferre Hall centered on creating designer biomaterials. He describes biomaterials as any substance that carries out a biological function which are commonly created to avoid interfering with the immune system. They can be used to replace a knee joint, a heart valve, or even contact lenses to correct vision. To take on these bigger problems, his lab leverages the chemical and physical properties of materials to facilitate unique biological functions in regenerative medicine and immunology. Vaccines seemed a logical place to start. 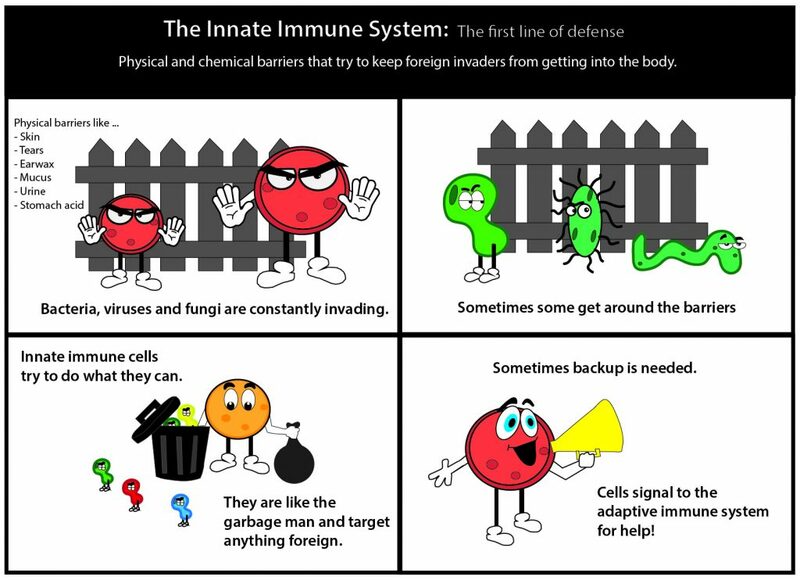 A vaccine introduces a portion of a pathogen to a patient so they can be exposed to just enough to create an immune response without developing the actual disease. Ulery explained a person does not get sick from a vaccine because it is designed to target both the innate and adaptive immune responses without having the capacity to induce illness. Traditionally, there are just a few ways to create a vaccine. First, scientists use heat or radiation to inactivate a pathogen. It is killed so the patient will not be exposed to the full disease but the immune response will still be triggered. While this type of vaccine is safe and easy to transport, the immune response it induces is weak and thus requires a great number and more frequent immunizations to be effective. Another method is to keep the pathogen alive but to knock out its disease activity like what is done with the flu shot. Scientists take out part of the virus but keep it alive. This way the virus can still grow but won’t create the same degree of damage as the normal pathogen. 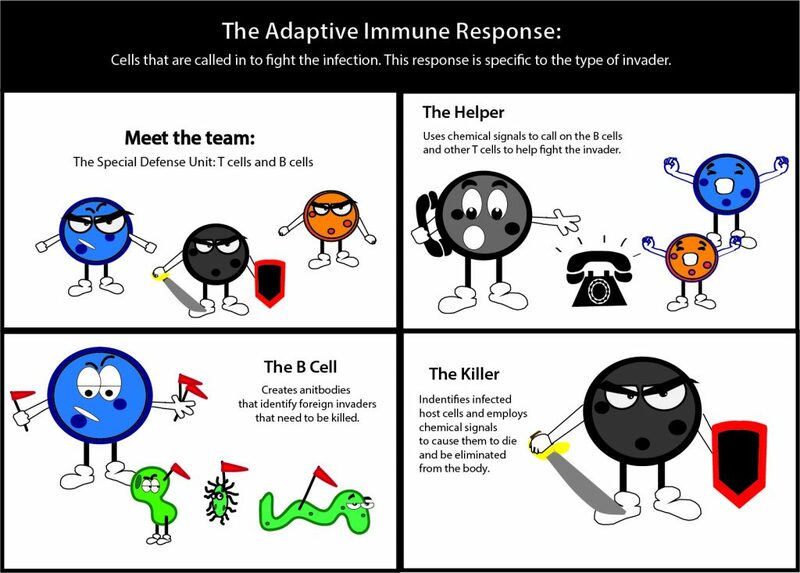 Here, the immune response is stronger but not always equally effective in everyone due to differences in viral strains that have mutated to get around certain immune defenses. Ulery wants to engineer more effective vaccines by only exposing the patient to the components absolutely necessary. This manipulation involves taking a portion of a protein called a peptide and tethering a fat to it. This new molecule called a peptide amphiphile folds in water in unique ways to create interesting nanostructures called micelles. “Instead of having some sacrificial material where we load our drug or vaccine into the core, this is actually a nanoparticle that is made almost entirely from the vaccine itself, so we get really high concentrations of the peptide and the vaccine,” he said, explaining the benefits. By adding different peptides, the lab is able to create a vaccine that works for multiple types of infections. Ulery said his team is working towards applying these techniques to combat diseases such as Lyme disease, influenza and even cancer. Current methods of targeting cancer are tricky because of the similarity between cancer cells and healthy cells. Ulery said it’s difficult to make a vaccine that just kills the unwanted cells. Despite the challenge, Ulery and other researchers at MU think they found a molecule that is good at killing cancer cells without hurting healthy cells. Initial tests revealed engineered micelles can be used to deliver a peptide drug to allow patients to receive smaller doses because the treatment kills more cancer cells in a targeted area. 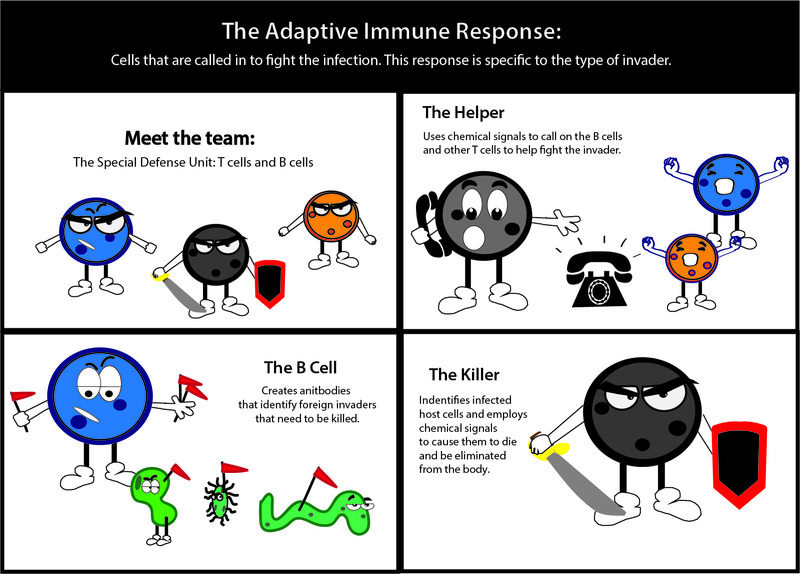 Ulery explained the exciting part of this is the method does not require changing the immune response. But what if the team did use the immune system to improve treatments? The chemical engineer explained there are immune cells within a cancerous tumor. However, the tumor’s environment prevents the immune system from doing its job. Ulery believes it might be possible to retrain the immune system to kill cancer. That method would be similar to how vaccines are created. Instead of modifying portions of a protein, scientists could modify tumor cells so the immune system could process them easier. That’s one possibility but an even better option would be making a vaccine specific to a patient. Ulery said this would be the third generation of immunotherapy where different therapies work for different areas. Much of Ulery’s work at MU is just starting to touch the surface of its potential, but the lab continues to challenge traditional immunology notions as it aims to create better solutions. Ulery’s spoke Sept. 30 as part of Saturday Morning Science. The series invites speakers in all types of science to speak every Saturday at 10:30 a.m. This outreach effort is free and open to the public. Find its schedule speakers at bondlsc.missouri.edu/saturday-morning-science/schedule.